The next step in Wladimir Klitschko’s march towards Boxing history will take place on Saturday night in Dusseldorf, Germany when Klitschko will make the nineteenth defense of his unified IBF/WBO/WBA/IBO Heavyweight world championship against undefeated IBF number one contender Tyson Fury at the ESPRIT Arena. In his last title defense, Klitschko defeated a very “Game” challenger in previously unbeaten top contender Bryant Jennings via twelve round unanimous decision at Madison Square Garden in New York City, NY. Klitschko, will now prepare to face his third straight undefeated challenger in the form of 6’9 Tyson Fury. Fury, unbeaten in twenty-four professional fights will have a rare height and reach advantage over the 6’6 Klitschko. Fury will come into this fight off of an eighth round stoppage of Christian Hammer in February of this year. Although Fury will have a four-inch reach advantage and a three-inch height advantage over Klitschko, Klitschko will have a significant edge in terms of experience having fought in sixty-seven professional fights. Klitschko has defeated sixty-four of his sixty-seven opponents in his career. Although all of the champion’s losses have come by knockout, it is important to remember that he has been undefeated for over eleven years having not suffered a defeat since his first fight against former WBO Heavyweight world champion Lamon Brewster in April 2004. The question I have as this fight approaches is how Fury will respond in his first world championship fight. 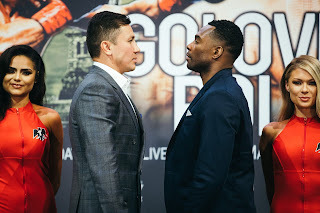 Although he will enjoy an advantage in terms of height and reach over Klitschko, there have been fighters who have froze up in their first opportunity at a world championship. There is little doubt that the crowd support will likely be in favor of the champion who has fought many of his fights in Germany. In an arena that holds over 50,000 spectators as the ESPRIT Arena does it will be interesting to see how the challenger will respond to the atmosphere. One may also wonder how Klitschko will respond to the rare occasion that he does not have a height or reach advantage over his opponent. Many opponents have been bedeviled by Klitschko’s ability to land his jab followed by a straight right hand. Klitschko has dominated many opponents with the one-two combination and this observer has no doubt that the combination will remain a significant weapon in Klitschko’s arsenal in this fight. Both fighters have significantly high knockout percentages entering this fight. The champion has scored knockouts in fifty-three of his sixty-four career victories registering a career knockout percentage of 79%. Fury has scored knockouts in eighteen of his twenty-four career victories registering a career knockout percentage of 75%. Although sometimes statistics turn out to be merely statistics, when you have two fighters going against each other with each having stopped 75% or greater of their opposition it suggests that the fight might not go the distance. It will be interesting to see if Fury is not fazed by the atmosphere of the event when he gets in the ring against Klitschko to see if he will have an answer to avoid the Klitschko one-two. Even though this is Fury’s first opportunity at a world championship, he has been tested thus far in his career with victories over the likes of former world title challengers Dereck Chisora and Kevin Johnson. Fury also showed in his fight against former IBF Cruiserweight world champion Steve Cunningham in April 2013 that he can get up off the canvas to win a fight. If Klitschko can get inside of Fury’s reach and land his offense more than occasionally on the challenger, Fury could well find himself in a scenario similar to the one he was in against Cunningham in having to get up from a knockdown. In contrast, it will be interesting to see if the challenger can find a way to hurt Klitschko. One might argue that one of the reasons why Wladimir Klitschko has been as dominant a fighter as he has been over the last decade has been due in large part to his ability to not only use his technique and fundamentals to dominate his opposition, but also the ability to use his physical advantages to avoid being put in positions where he could be stunned and/or hurt by an opponent’s punches. This will be a rare time where Klitschko will not be facing someone who is shorter than he is and will be looking up at his opponent. It will be interesting to see whether Klitschko will be able to defend himself from Fury’s offense in a similar way as he has against previous opponents, despite being at a disadvantage in terms of height and reach. As dominant as Klitschko has been however, at thirty-nine years old one may wonder how much longer he will be able to dominate the Heavyweight division. It is true that fighters such as Archie Moore, George Foreman, and of course, Bernard Hopkins have shown that it is possible for fighters to still compete at the top of the sport well beyond the age of forty. If Klitschko can continue what may turn out to be a historic championship reign in his second reign as Heavyweight world champion his name will surely join that list. For the twenty-seven year old Tyson Fury he may just be entering his physical prime and if he can establish a quick pace from the outset and find a way to make Klitschko uncomfortable, this may be the fight that will answer whether Klitschko can fight at a high pace at thirty-nine years old after having stamina problems early in his career. Whether or not Fury will be able to provide Klitschko with a significant test remains to be seen. As Klitschko has continued his march towards Boxing history with each successful title defense one could question whether Klitschko will indeed be able to break the record set by Joe Louis of twenty-five successful title defenses of the World Heavyweight championship, the most in any weight division in the history of the sport, which he set between 1937-1949. If Klitschko is successful against Fury it will put him one successful title defense away from tying Larry Holmes’ mark of twenty successful title defenses of his Heavyweight world championship, which he compiled between 1978-1985. There is no doubt regardless of what happens when Klitschko defends his title against Fury on Saturday night that Wladimir as well as his brother, the retired Vitali Klitschko will go down in history as two of the greatest and most dominant Heavyweight champions in the history of the sport. It remains to be seen however, whether Wladimir will be able to cement his legacy by potentially challenging the record of Joe Louis which has stood for sixty-six years. We will see if Klitschko’s march towards history will continue on Saturday night. Klitschko vs. Fury takes place on Saturday, November 28th at the ESPRIT Arena in Dusseldorf, Germany. In the United States the fight can be seen on HBO Sports at 4:45PM ET/PT. HBO Sports will replay the fight later that evening at 10:15PM ET/PT. In the United Kingdom, the fight will be televised on pay-per-view by Sky Box Office at 7 PM (Local UK Time). For more information about availability in the United Kingdom please visit: https://my.sky.com/orderboxoffice/. Check your listings internationally.